(1888PressRelease) Dr. Lyubov Gorelik participated in research in the field of addiction psychiatry during her fellowship training at the Mount Sinai Medical Center and the Bronx VA Medical Center. 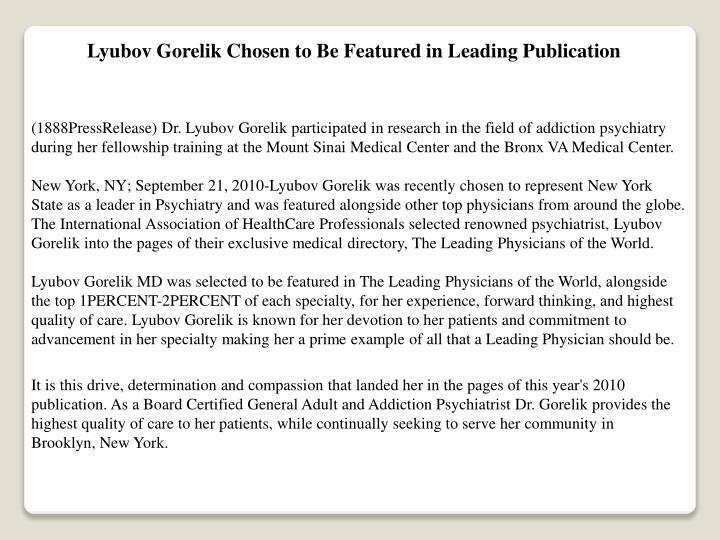 New York, NY; September 21, 2010-Lyubov Gorelik was recently chosen to represent New York State as a leader in Psychiatry and was featured alongside other top physicians from around the globe. 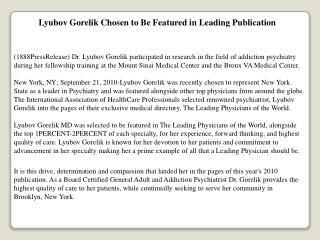 The International Association of HealthCare Professionals selected renowned psychiatrist, Lyubov Gorelik into the pages of their exclusive medical directory, The Leading Physicians of the World. Lyubov Gorelik MD was selected to be featured in The Leading Physicians of the World, alongside the top 1PERCENT-2PERCENT of each specialty, for her experience, forward thinking, and highest quality of care. Lyubov Gorelik is known for her devotion to her patients and commitment to advancement in her specialty making her a prime example of all that a Leading Physician should be. 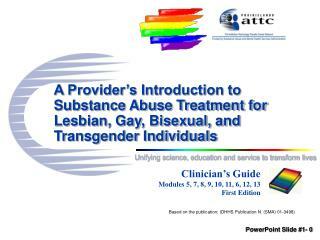 It is this drive, determination and compassion that landed her in the pages of this year's 2010 publication. As a Board Certified General Adult and Addiction Psychiatrist Dr. Gorelik provides the highest quality of care to her patients, while continually seeking to serve her community in Brooklyn, New York. 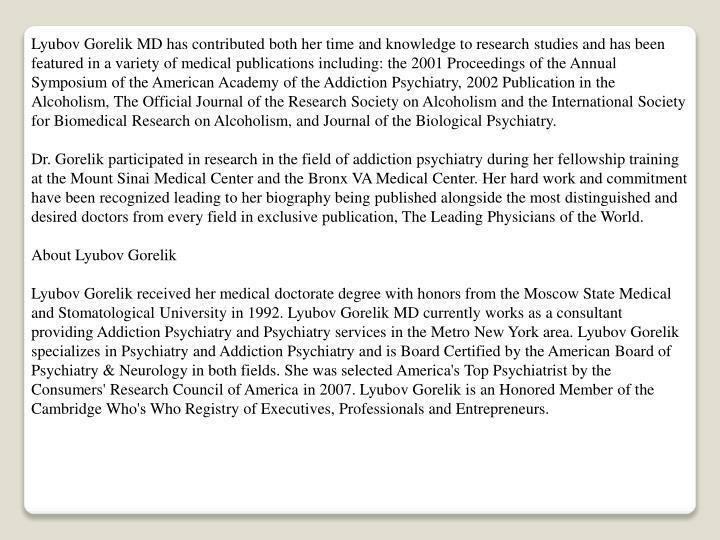 Lyubov Gorelik MD has contributed both her time and knowledge to research studies and has been featured in a variety of medical publications including: the 2001 Proceedings of the Annual Symposium of the American Academy of the Addiction Psychiatry, 2002 Publication in the Alcoholism, The Official Journal of the Research Society on Alcoholism and the International Society for Biomedical Research on Alcoholism, and Journal of the Biological Psychiatry. Dr. Gorelik participated in research in the field of addiction psychiatry during her fellowship training at the Mount Sinai Medical Center and the Bronx VA Medical Center. 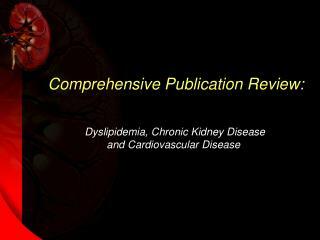 Her hard work and commitment have been recognized leading to her biography being published alongside the most distinguished and desired doctors from every field in exclusive publication, The Leading Physicians of the World. Lyubov Gorelik received her medical doctorate degree with honors from the Moscow State Medical and Stomatological University in 1992. Lyubov Gorelik MD currently works as a consultant providing Addiction Psychiatry and Psychiatry services in the Metro New York area. 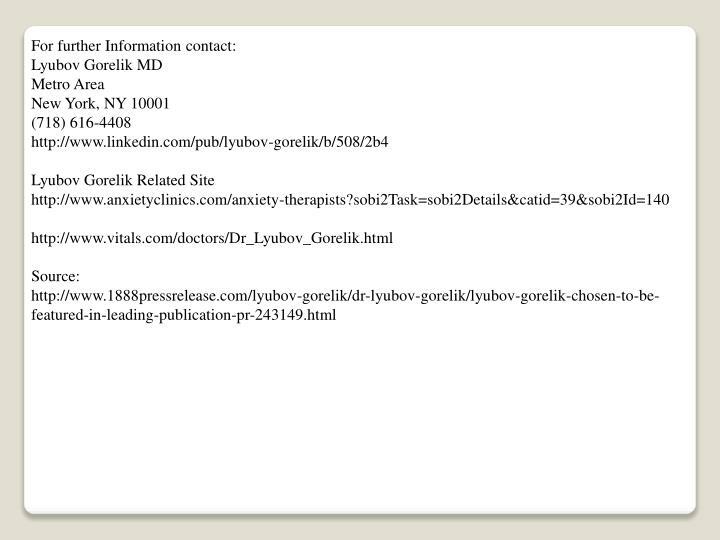 Lyubov Gorelik specializes in Psychiatry and Addiction Psychiatry and is Board Certified by the American Board of Psychiatry & Neurology in both fields. 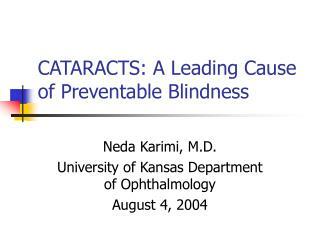 She was selected America's Top Psychiatrist by the Consumers' Research Council of America in 2007. 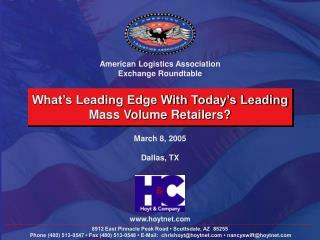 Lyubov Gorelik is an Honored Member of the Cambridge Who's Who Registry of Executives, Professionals and Entrepreneurs. 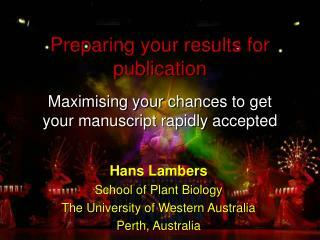 Publication Bias and Other Sensitivity Analyses in Meta-Analysis -. 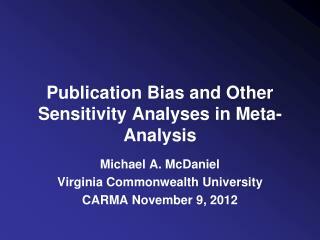 michael a. mcdaniel virginia commonwealth university carma november 9, 2012. overview of presentation. 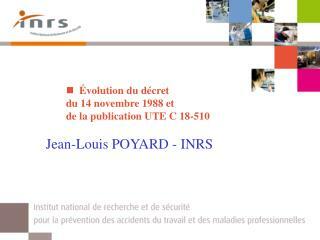 begin with the shortest ever explanation of meta-analysis (2 slides). 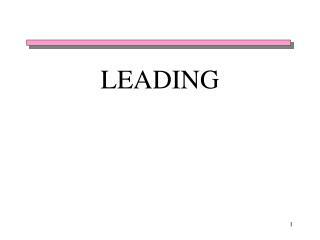 Leading Change -. 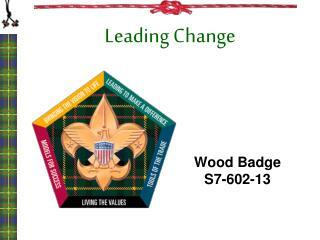 wood badge s7-602-13. 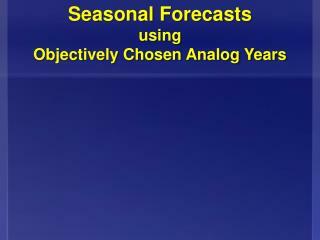 video insert. 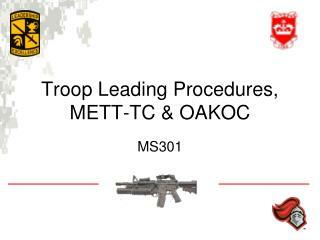 leading change mike wilson – rick bragga troop guide &amp; spl. 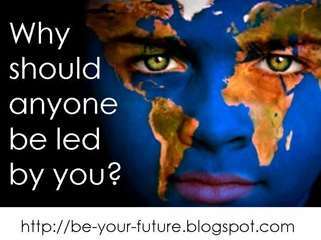 someone must lead the way. 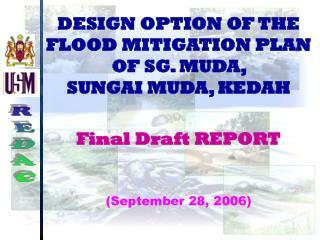 objectives of leading change. 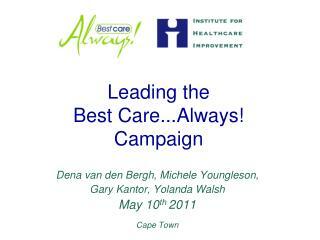 when change is needed, leading change can make it happen. 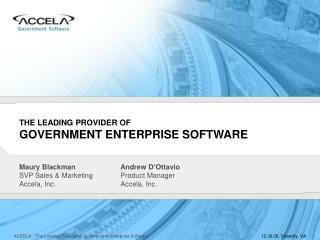 Leading in a Connected World -. 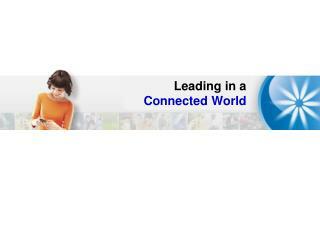 leading in a connected world. roger pryor 23 september 2010. evolution?. 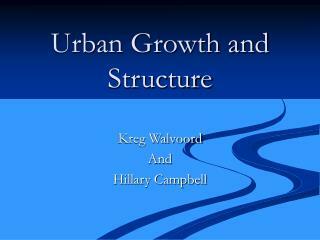 musing all around us, we see technology adopted and adapted because it makes it easier, more effective and efficient. 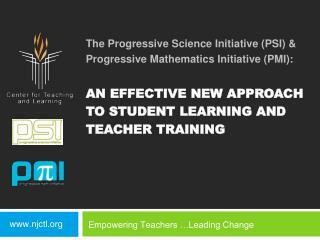 Empowering Teachers …Leading Change -The progressive science initiative (psi) &amp; progressive mathematics initiative (pmi): an effective new approach to student learning and teacher training. 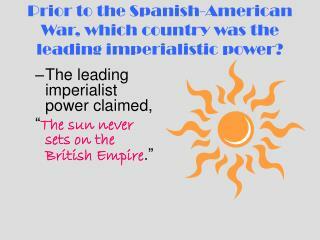 empowering teachers …leading change. 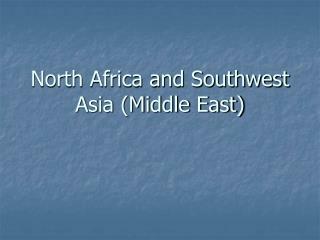 North Africa and Southwest Asia (Middle East) -. leading countries according to gdp. kuwait united arab emirates qatar israel. leading countries according to land size. 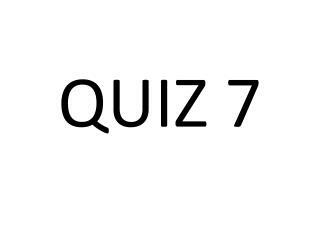 algeria saudi arabia libya. leading countries according to population.